We got hammered with snow yesterday, at last measurement we had just under 14inches of snow in the yard; that was over about 16hrs of snowing; craziness! 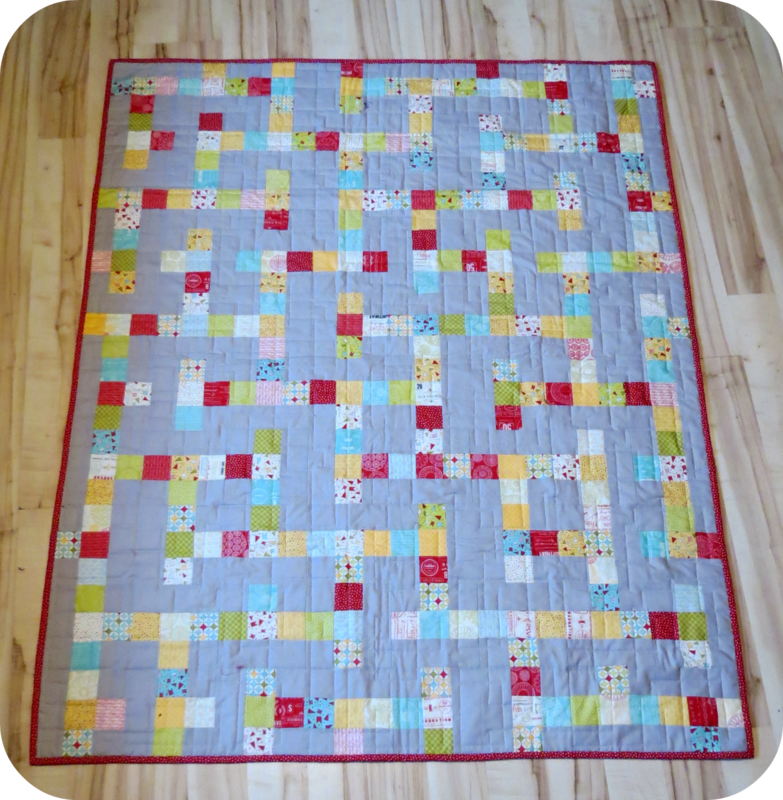 I debated about dragging this quilt out into the snow for some pictures but the rain started today and everything is a nasty, super soggy mess; yuck. Mom made me a table runner for Christmas and gave me the remainder of the Wishes jelly roll. I knew exactly what pattern I wanted to make. I love how the quilting pattern accents the piecing. I debated going with a white background but felt it would blend too much; I love how with the grey the colours just pop. I finished it off with one of the red prints for binding. That is a striking quilt. The gray really makes all the colors pop. Very nice! Very nice, looks just like a cross word puzzle.